At our house cardamom is one of those spices that we use a lot in savory dishes. 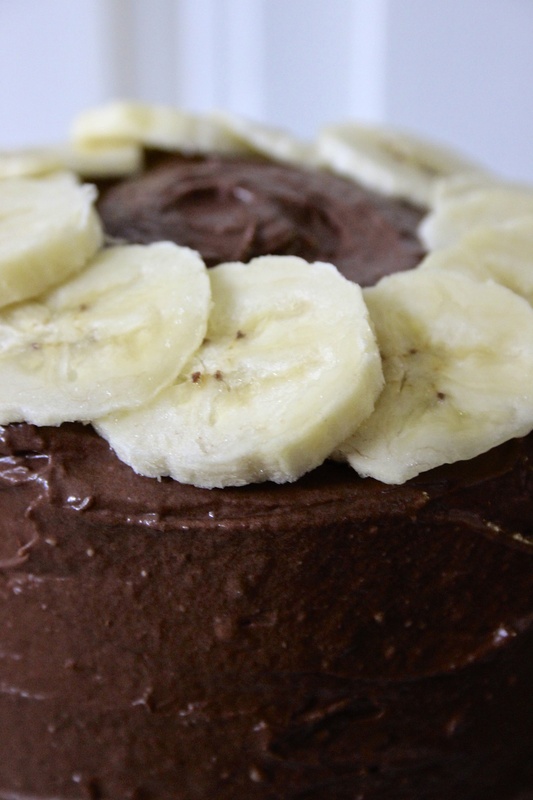 We love the flavor and wanted to find a way to use it in a dessert. I have been reading so much about cardamom cake that I thought it would be fun to try. Returning to my favorite guide, The Flavour Thesaurus, I decided to pair it with banana. 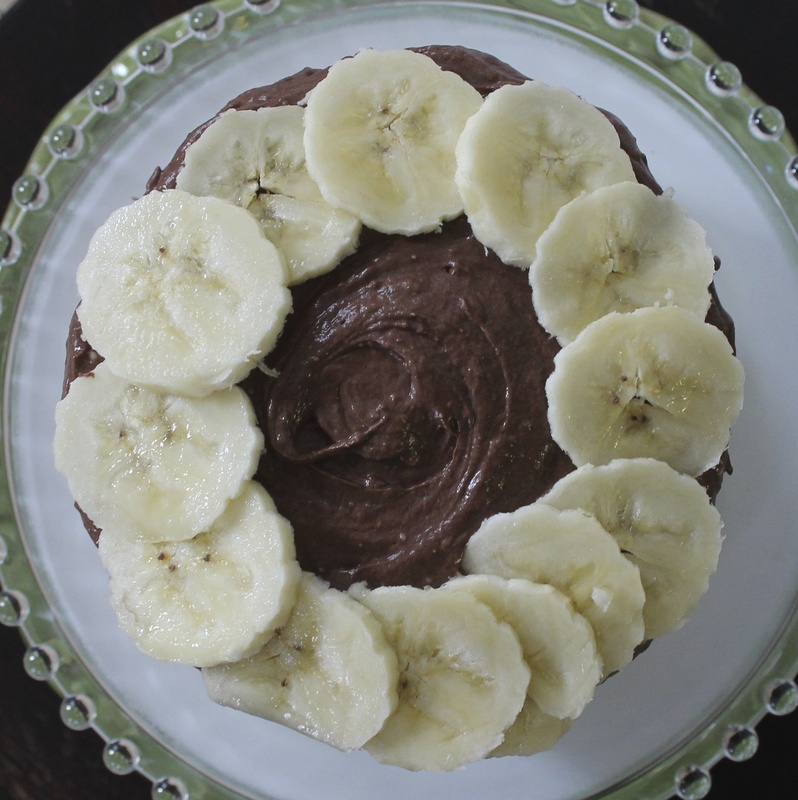 The cake was so easy to make and was very sweet in flavor with the essence of the cardamom which gave it a citrusy taste. 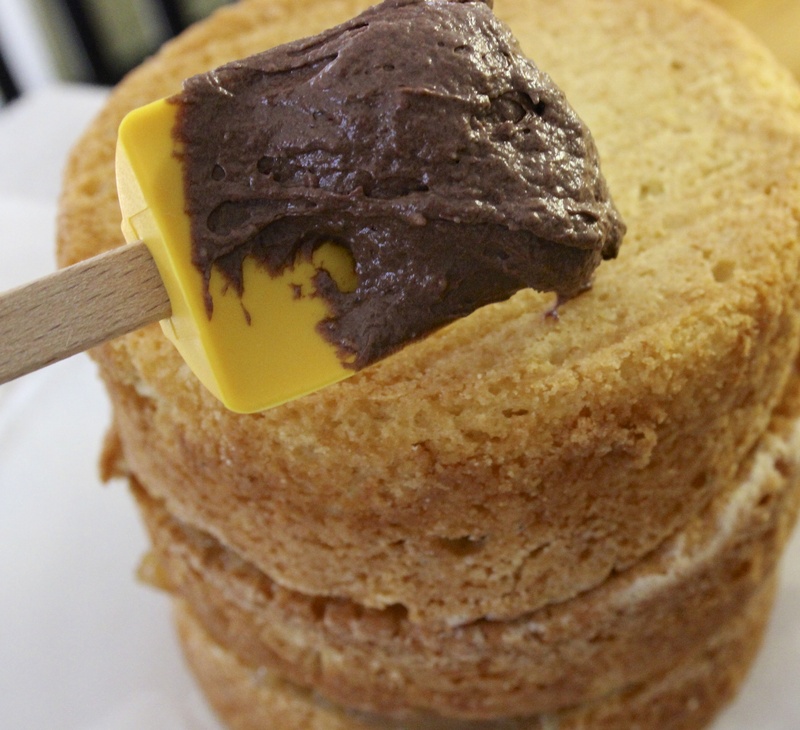 Loving the look of layered cakes, we selected three little pans to make the eating experience even more decadent. The dry ingredients were mixed together and then the wet added to them. 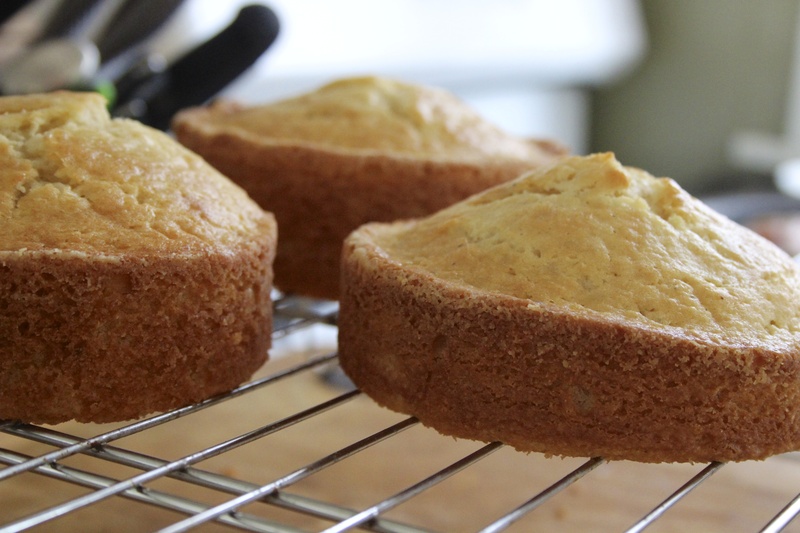 They were baked at 350 f. for about 25-30 minutes in three little springform pans which had been buttered and floured. Once cooked the cakes were removed from the pans and allowed to cool completely. 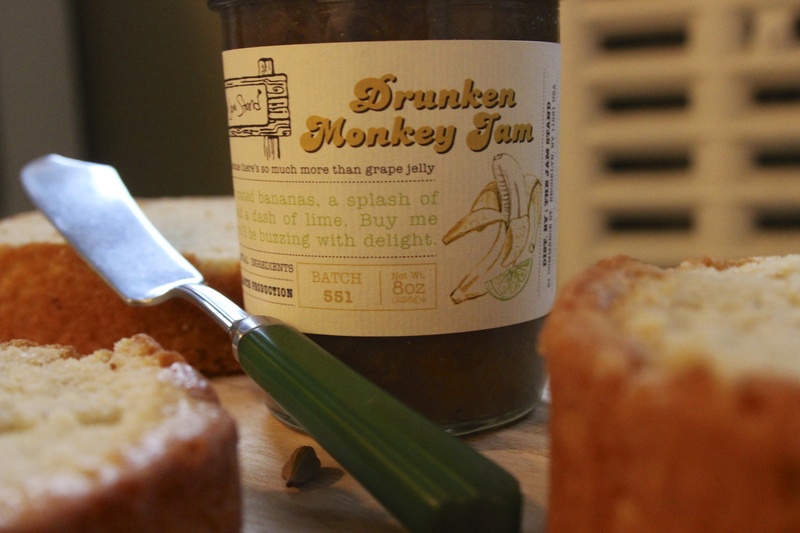 We have recently received a shipment of this amazing jam from The Jam Stand in Brooklyn called Drunken Monkey. It is a mix of banana, rum and lime. 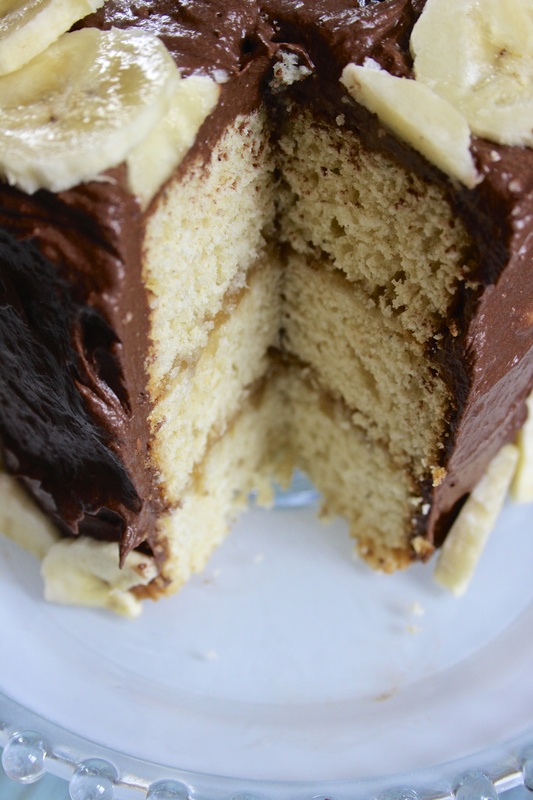 Perfect to fill this layer cake with. The cake tops were cut off (which my kids were quite glad about as they were itching to try the cake…”can we please try the cake Mommy”….) and a layer of Drunken Monkey was spread in-between each layer. I frosted this with a cream cheese frosting. Let’s stop here a minute. 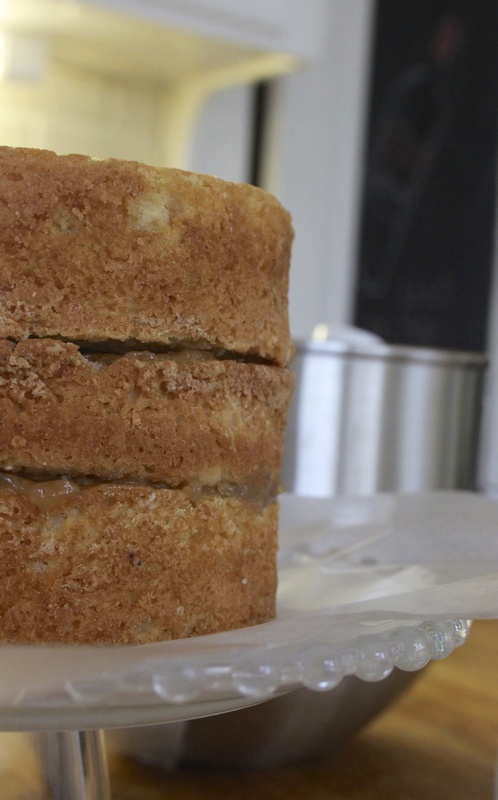 What you don’t know is that earlier in the week I suffered from a major baking disaster. I mean major. My cupcakes exploded all over their tins in the oven and I was left with a huge mess which my husband graciously cleaned up. I was making mini muffins and filled the tins a tad too high only to be left with a mess which was stronger than concrete. I needed this attempt to be perfect. Yeah. Well as you can see from the photo perfection is in the eye of the beholder and I was not happy with this frosting in the end. Not the taste, mind you, the taste was amazing. The little lumpy butter bits that did not soften or melt despite being left out to come to room temperature for well over a day. Ugh. I was under a time crunch though. School pick up was quickly approaching and I didn’t have time to start the frosting again. I still had not made it to the bank (which has been on my list every day this week) and I just wanted to finish this cake. Not the idyllic morning in the kitchen I had envisioned but nonetheless I persisted. Mix it all together. Voila. 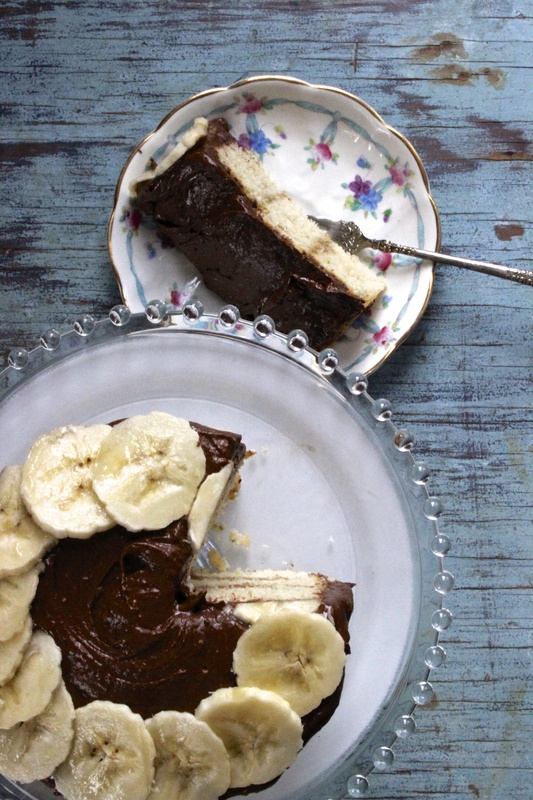 The banana flavor is subtle against the chocolate. Perfect in taste. Still bugging me in consistency. I was quite proud of myself in the end though. My currently very foggy memory (which I can blame my four year old non-sleeping child for) did remember a Martha Stewart trick and lined the cake stand with waxed paper before frosting (this time) so I was left with a fairly clean cake plate and a really sweet little cake. The flavors? Oh my. So good. That jam!!!! It was meant for this cake. 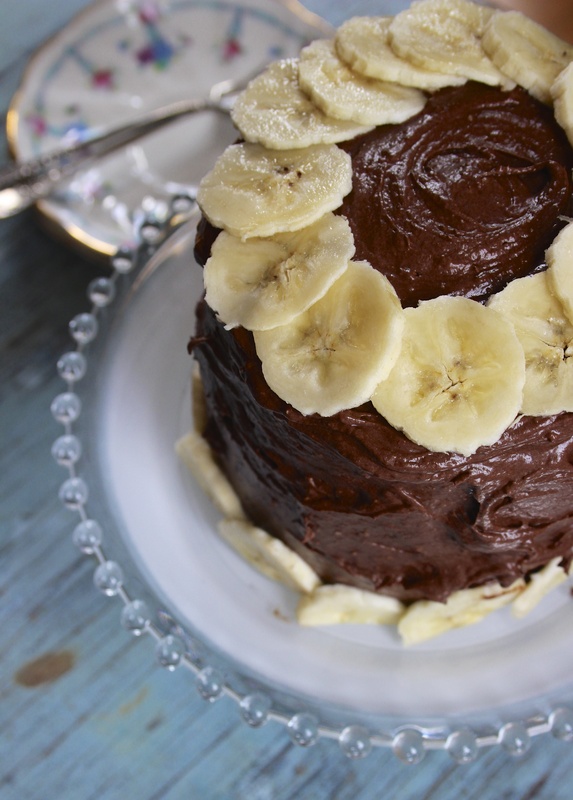 The cardamom flavor is delicate and the banana really does compliment it. And who can say no to chocolate? I promised my kids they could have a piece for dessert tonight. I have a feeling they are going to love it.